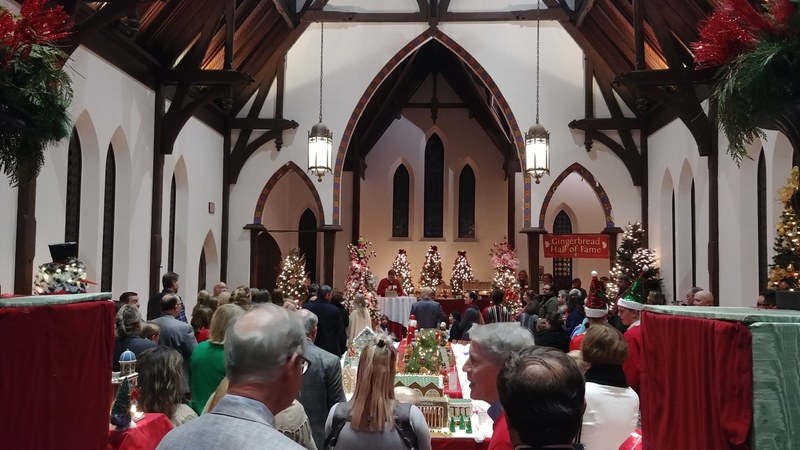 Greetings from Old St. Andrew’s church, where Jacksonville’s 15th Annual Gingerbread Extravaganza is fully under way. 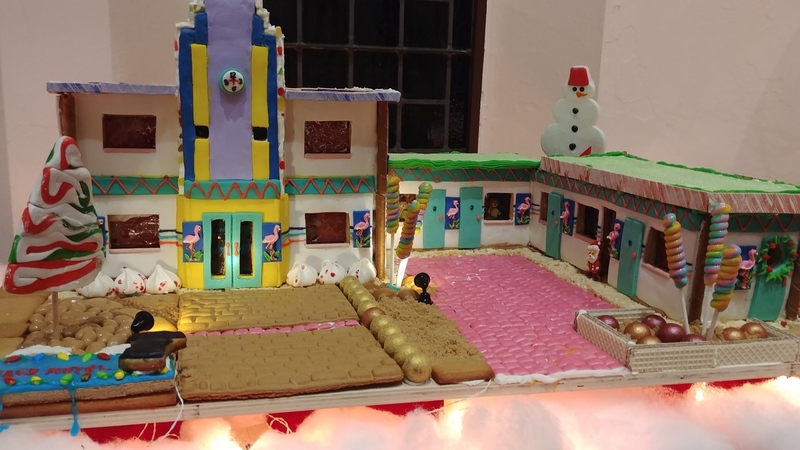 As always, the Gingerbread Extravaganza is an extraordinary, indeed unique holiday tradition. It is the principal annual fundraising event of the Jacksonville Historical Society, but more than that, it is genuinely a community project. It is only possible owing to many hours of volunteer work, many creative spirits, and many generous donors and underwriters. Without all of them, we would not be here. Our Gingerbread builders are amateurs and professionals. They range in age from 2 to 92. Some work individually, while others form teams from classrooms, clubs, families, and among co-workers and friends. Most creations average about 70 hours to complete—some less, some much more! Our Holiday Shop Is Open!!! If you’re looking for a one stop shop for all of your holiday needs, we’ve got you covered! Our holiday shop will be open for the duration of the Gingerbread Extravaganza and is located at the front of Old St. Andrew’s near the entrance. 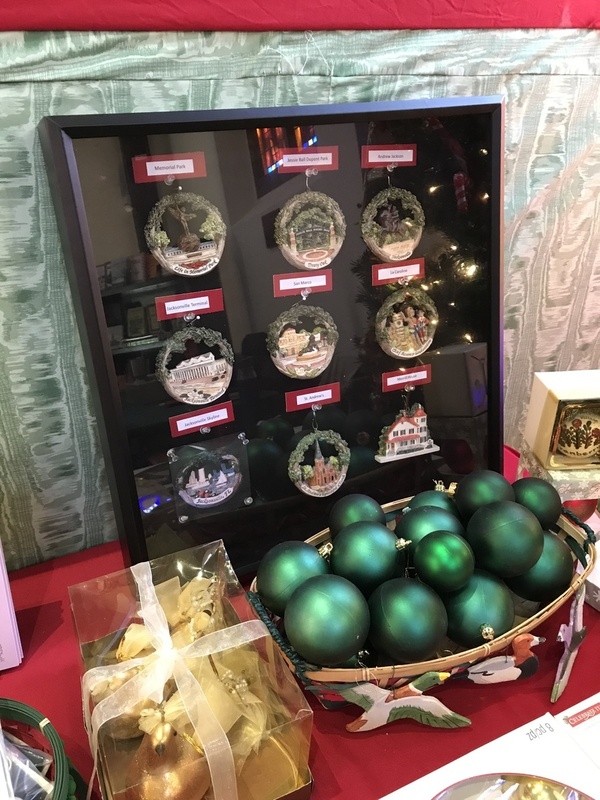 There’s something for the whole family, and be sure to pick up a few of our specialized tree ornaments devoted to scenes of Jacksonville! 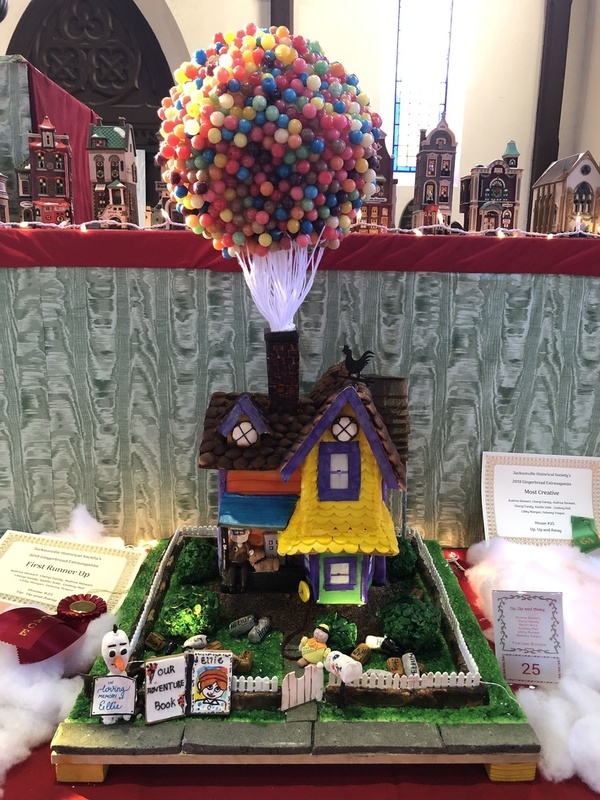 1) A Gingerbread Hall of Fame, dedicated to Master Artists Sara Aicher and E.J. McIntyre. 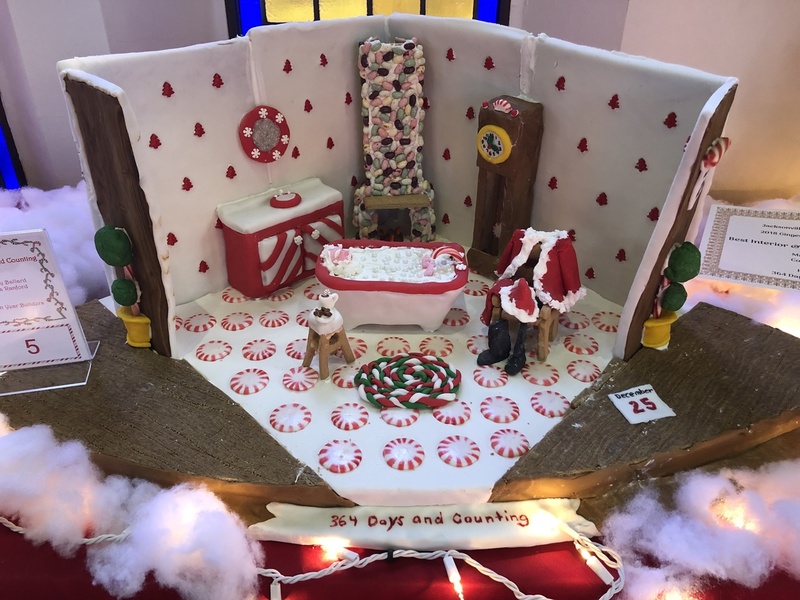 They are royalty in Jacksonville’s Gingerbread kingdom, and the Hall of Fame includes eleven of their most amazing creations. 2) Evening hours! Staff and volunteers will hold the church open for evening tours until 8:00 PM on Monday, December 17th. 3) Sunday hours! On Sunday, December 9th, the Extravaganza will be open for tours from 11:00 AM to 4 PM. 4) Photo Studio! In the church’s south transept, next to the Nutcracker Tree, a special place has been created to pose for your family holiday photo. We hope you’ll take advantage of this unique place and share the results via your social media channels – and with us! 5) After Christmas hours! After a Tuesday of gathering, dining and gift-exchanging, it may be challenging to sustain holiday spirits. Not this year! On Wednesday December 26, Thursday the 27th, and Friday the 28th, you and your visitors can find the spirit here at the Gingerbread Extravaganza. Wednesday and Thursday’s post-holiday hours are from 10 to 4; Friday’s hours are 10 to 2. Best in Show: House #21, “Magic Beach Motel”, by Jean Grimsley, Sophie Grimsley and Kate Begley. Hearty Congratulations to all the Extravaganza Builders! The Gingerbread Extravaganza is our main fundraising event of the year, and we need you! To volunteer, please follow the link below. This charity event benefits the educational programs and archival repository of the Jacksonville Historical Society. If you or your company is interested in sponsoring this wonderful, community-building event, we invite you to become a Gingerbread Sponsor. Interested In Building Next Year? Gingerbread Creations must be delivered to Old St. Andrews, 317 A. Philip Randolph Blvd., Jacksonville Fl, 32202. The 2019 Delivery date and Final date for completed builder’s permit forms will be announced at a later time. If you do not receive a confirmation email within 24-hours, please contact (904) 665 – 0064. 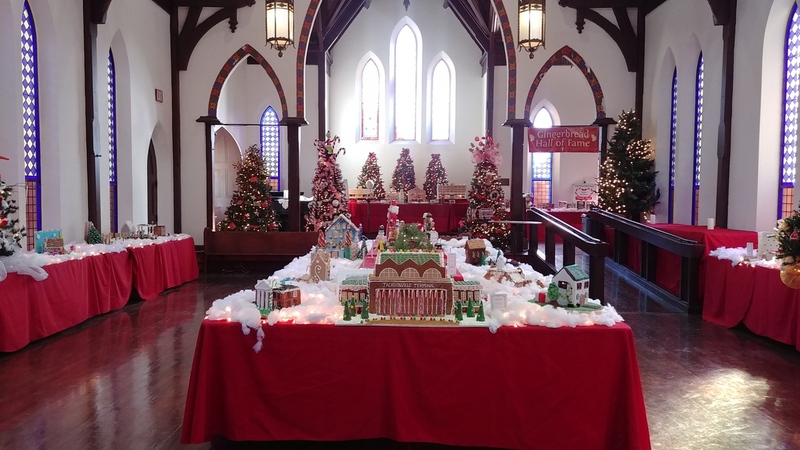 The Jacksonville Historical Society’s Gingerbread Extravaganza is supported by a grant from the Delores Barr Weaver Forever Event Fund, est. 2015. For more information, email gingerbread@jaxhistory.org, call (904) 665 – 0064 or visit our direct web-page gingerbreadjax.org. We’d love to have you! Our show’s coolest creations have been created by family projects and professional bakeries. To become a builder, you will need to submit a Builder’s Permit. Then, review our Gingerbread House How To’s for some great builder tips and tricks, and let your creative juices flow! If you or your company is interested in sponsoring this wonderful, community-building event, we invite you to visit our Sponsor page for additional information. (across the street from Veterans Memorial Arena). JHS’s free parking lot is behind the church, and there’s also ample street parking.